Gutter Protection Systems direct the rainwater into the gutter thru a continuous horizontal opening and because there are no vertical openings, leaves and debris fall over the edge and harmlessly to the ground. Gutter Protection Systems can handle 8-to-12 inches of rain per hour and help reduce the maintenance on more homes than other gutter cover systems. 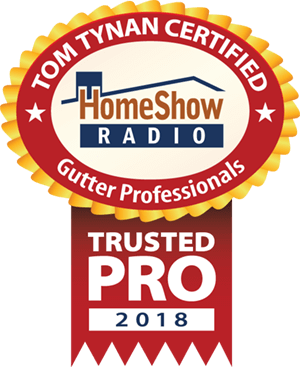 Serving the Greater Houston area, Gutter Professionals of Greater Houston is a trusted HomeShow Pro, certified by HomeShow Radio’s Tom Tynan. How can Gutter Professionals of Greater Houston help you? • Could gutters be causing damage to your home?